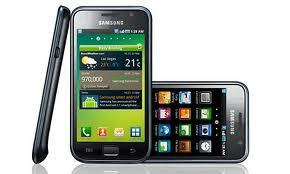 Please note that before proceeding to the updating of the Galaxy S, ensure that your phone is having the model number as Samsung Galaxy S GT I9000 and not any other similar looking phones like Captivate, Mesmerize, SL I9003 or any other phones as if you install with this firmware then some of the functionalities won’t run and could even lead to serious damage to your phone. Ensure that all data which is present in your phone is backed up in your computer which can be done. Most importantly you need to ensure that your phone has atleast75-80% of battery power left. Ensure that your computer / laptop which runs on a XP, Vista or Windows 7 OS the firewall and other antivirus programs are disabled and also you should have admin privileges to download and install the software including the drivers and also along with this you will be requiring the USB port on your computer which supports USB 2.0. Ensure that you disable any firewalls, antivirus if any. Be rest assured as all the files which are mentioned in this article are safe and virus free. First of all you will have to download the Gingerbread 2.3.3 JPJV6 Zip file from here and need to unzip the same to get a tar file named “jv6_jv6_jv6.tar”and also the flash tool Odin. Please note that in the process of extraction, if you are prompted to enter any password then enter the password as “http://engrimawi.blogspot.com” without the inverted comas. Preferably, extract to the desktop so that you can easily find the file for flashing it to your phone. Please note that you should not rename the file in any manner or else the files won’t be recognized by the flashing tool which is Odin in this case. Now you will have to put your Samsung Galaxy S GT I9000 in the download mode which can be done by holding the Volume Down button + the Home key button (the middle button). While holding these both buttons, you need to switch ON your device. If you have successfully entered into the download mode then you will see a green screen which is shown below. Also, additionally note that if the device boots in the normal mode with the home screen then you will have to again switch off the device and retry the process and if despite retrying you are unable to get into download mode then you will have to fix the download mode error for your phone. You can see the download mode screen on how it looks like. Now, after putting the Galaxy S in the download mode it’s time to open the Odin flash tool which is there in the extracted contents of the firmware folder. Just click on the Odin to open the same and after this you will have to connect the phone with the computer with the help of USB cable which you have got at the time of purchase of your Galaxy S GT I9000. At this moment, as soon as you connect the phone, the ID : COM block will turn yellow as you can see in the below screen shot and also in the message box. So, after following the above steps carefully, it’s time to proceed ahead for selecting the file to downgrade the software version to the official DDJG4 Eclair 2.1. Ensuring that the phone is connected, you will have to click on the PDA option id Odin and then you will have to select the tar file which you have downloaded and extracted which is jv6_jv6_jv6.tar. After selecting the file, you will not have to change any other parameters like the Re partition etc. Also, most importantly you don’t have to choose any files in the PIT, Phone as well as CSC in the Odin. Please note that after adding this file, just simply click on the “Start” option to start the firmware update process. After clicking on the start, you will see that the firmware will be installed in your phone within a time of not more than 5 minutes. After the Galaxy S reboots, you will have see the home screen and then choose the options accordingly and then after you see the home screen and after the completion of Media scanning, you will have to go in the recovery mode wherein you will have to delete the cache memory so that all unwanted files are removed if there are any left in the phone. So, there you go, you have now successfully installed the latest firmware for your Galaxy S which is the Arabic Gingerbread version. To check on which firmware you are currently on, you will have to go to the Settings > About Phone > Firmware Version where you will find the version of Android OS where it will show 2.3.3. As you can see above that we have shown some of the images of latest Gingerbread update. You will see that the version will be 2.3.3 and the version name will be JPJV6. Thank you for this valuable information. Get your business to the next level in simple steps.